D I releases debut single "All I Know"
With so much focus on style over substance in electronic music at the moment, it is refreshing to hear an artist that looks to remove the former entirely. DI is a London-based producer and we have no idea who she is. Masked in a veil of anonymity, she aims to make her music the focus of her image and has already unveiled her latest single ‘All I Know’. Mixing the transcendent Scandinavian sounds of Lykke Li and Royksopp with the anthemic production style of Giorgio Moroder, ‘All I Know’ is an uplifting and driven dance floor record which likes to keep the lyrical content as the focus of this new release. Its melodic yet pounding rhythm gives the single a dynamic feel that only adds to the intrigue around this faceless artist. Clearly a person looking to strive at greatness, DI plans to make ‘All I Know’ the first step in her outlandish and experimental music vision. Shunning the limelight in favor of creating music that touches the heart and feeds to soul. 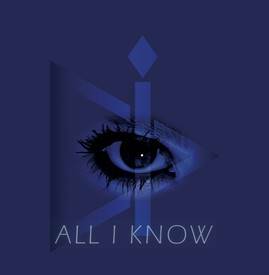 DI will release All I Know on Friday 21th August 2015.